Click here and go directly to our channel where you’ll find all sorts of interesting videos about our school and students. Click here to visit our public page. The club meets twice a week at the College Park Community Center, 2393 Elizabeth Avenue, Orlando FL �32803. � �There is a $10 per visit floor fee, payable at the door to the City of Orlando. No initial investment into gear! 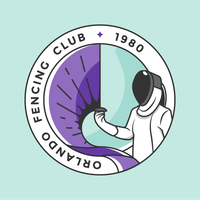 1) The City of Orlando and the United States Fencing Association has strict rules for registered coaches. �As such, Coach Jennifer Seachrist is the only coach for the club registered with the City of Orlando. 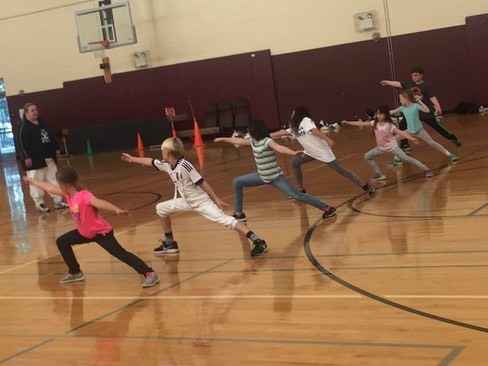 �No other member or visitor may conduct drills or provide private lessons. 2) Coach Jason Seachrist is a volunteer for the club and is regisetered with the City of Orlando. 3) Both of the above individuals are listed with the USFA and have been�SafeSport certified. 4) �Proper fencing uniforms are required following basic training. �No member will be permitted to fence in shorts at any time. �Ladies are required to wear chest protectors. 5) Any member or visiting fencer found to conduct themselves in an unsportsmanlike manner, or to fence in an abnormal and unsafe way will be denied further service.